Love is in the air, New York! And just because we know that you’re trying to flaunt your relationship to the world this season, here’s a list of the most romantic places in the city. Consistently named one of the most romantic restaurants in the world, One if by Land, Two if by Sea was made for snuggling up to your sweetie. Of course, the fact that it’s most likely haunted doesn’t hurt at all either. Okay, this one’s a no brainer. A classic NY restaurant with the cozy, crowded attitude to match, Carbone is by far one of the most romantic places city wide. It’s French. It’s tiny. It’s all over Instagram. You know Buvette is romantic af. Romantic strolls with a skyline view? Yes, please. Karaoke. Music. Food. Strong drinks. This dark lit bar and venue is the perfect spot for a couple’s night out. Though, no, you won’t find any rooms at Hotel Delmano, you will find a cozy little bar with amazing cocktails perfect for cozying up to your boo. One of the most famous hotels in NYC, what The Gramercy lacks in affordability it more than makes up for romance. Beautiful rooms, classic decor, and an all acess pass to that exclusive park? Sounds like a staycation plan to us. You know it, you love it, you totally wouldn’t object to rowing under it on a date. A floating oyster bar with stellar views, Grand Banks is a shoo in for one of the best date night spots in the city. Known for it’s live music, amazing cocktails and speakeasy like atmosphere, The Last Word is the place in Queens for romance. This low lit Japanese restaurant in Brooklyn practically screams romance. I mean, just look at it. So, no – a German restaurant might not be the first thing you think of when it comes to New York romance. But this intensely decorated hole-in-the-wall is just too good to pass up. One of NYC’s best green spaces, The Brooklyn Botanic Gardens have enough beautiful scenery to fuel your lovey-dovey-ness for hours. There’s no better place to make eyes across a candle lit table than Macao. I mean, it does take its inspiration from opium clubs, after all. Il Buco offers Lady and the Tramp levels of romance. Trust. This indie movie theater offers you the perfect opportunity to accidentally brush hands when going for the popcorn. This outdoor hotel restaurant will make you feel like your on a romantic getaway the minute you walk in the door. Let you and your boo get lost in the Met’s Cloisters exhibit in For Tyron Park. 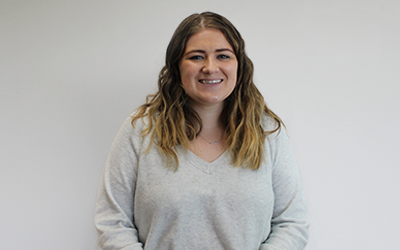 As an avid NPR listener and self-described Snapchat addict, Jessica Hamrick is excited to showcase her love for all things media as an Editor at UrbanMatter. Her short-yet-illustrious academic career was dedicated to finding the intersections between writing and marketing and she’s definitely found it here. In her free time, Jessica can be found hanging out with her dog Indie, watching the Food Network or commiserating with fellow, unfortunate White Sox fans.